Visit Melanie Cellier's home page for information about her current works-in-progress. When Princess Liliana and her twin sister set sail for new lands, Lily hopes to find adventure and romance. But the people of Marin live under the shadow of a curse—one powerful enough to destroy entire kingdoms. To protect them all, Lily and eleven other princesses are forced to participate in a mysterious and secret tournament. Lily spends her nights competing in a magical underground realm and her days unraveling the dangers of this new court. Although she needs the help of the Marinese prince, Lily knows she can’t let herself grow too close to him. There’s no time for romance when the duchy is about to fall to the encroaching darkness and the winner of the tournament faces a terrible fate. In this reimagining of the classic fairy tale, The Twelve Dancing Princesses, there’s a lot more at stake than worn out dancing slippers. 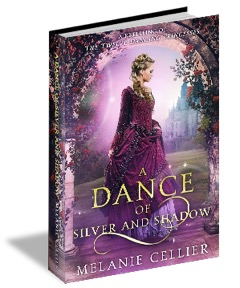 A Dance of Silver and Shadow eBook (ISBN: 978-0-6480801-1-4) is the first novel in the Beyond the Four Kingdoms series. It was published on the Amazon Kindle Store on September 4, 2017. A print edition (ISBN: 978-0-6480801-2-1) is available from Amazon and also from a wide range of online booksellers worldwide. Note that an Audible Audiobook published by Tantor Audio is also available through Amazon. 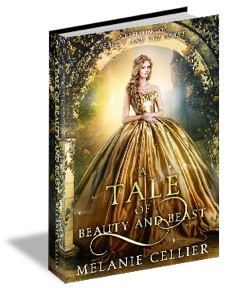 A Tale of Beauty and Beast eBook (ISBN: 978-0-6480801-3-8) is the second novel in the Beyond the Four Kingdoms series. It was published on the Amazon Kindle Store on November 26, 2017. A print edition (ISBN: 978-0-6480801-4-5) is available from Amazon and also from a wide range of online booksellers worldwide. Note that an Audible Audiobook published by Tantor Audio is also available through Amazon. 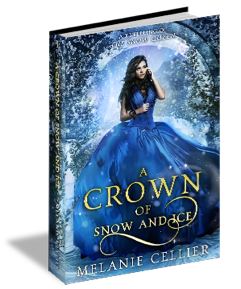 An unexpected gift from her godmother will give Celine enough fire to take on an entire kingdom of snow and ice. But first she needs to melt one frozen prince. Rumors have long swirled about the strange kingdom of Eldon. The only thing more frozen than its mountains are the inhabitants themselves. 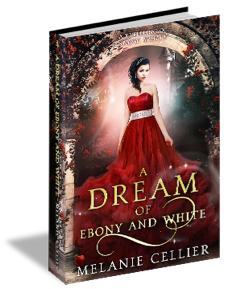 But Princess Celine has never backed away from a challenge, so she eagerly accepts an invitation to visit. Yet the situation in Eldon is even worse than Celine feared. And if the kingdom is to have any hope of freedom or a future, she’s going to have to call on new skills and new allies—including the crown prince, Oliver. But against an enemy stronger and colder than ice, all her fire may not be enough. In this reimagining of the classic fairy tale, The Snow Queen, one princess is ready to burn down everything in her path to save those she loves and their kingdom with them. A Crown of Snow and Ice eBook (ISBN: 978-0-6483051-4-9) is the third novel in the Beyond the Four Kingdoms series. It was published on the Amazon Kindle Store on August 21, 2018. A print edition (ISBN: 978-0-6483051-5-6) is available from Amazon and also from a wide range of online booksellers worldwide. Snow has always lived under the shadow of her cruel stepmother, with only her beloved father and her childhood friend—the huntsman, Alexander—to make life bearable. When her father dies, she should be crowned queen, but instead she finds herself fleeing for her life. With no allies, no skills, and no food, her future could be over before it has truly begun. But there’s more at stake than just one life. If Snow can’t claim her throne, her kingdom faces destruction. Snow has to make a choice: focus on her own salvation or put everything on the line—even those she loves the most. And if she’s going to succeed, Snow must fight the hardest battle of all, against her own doubt and weakness, and gain new skills and strength she never imagined possessing. Alexander is ready to help her. But if she lets him, the consequences might be more than she can bear—because her heart is in as much jeopardy as the kingdom. In this reimagining of the classic fairy tale, Snow must find her inner strength in time to fight for her throne before it’s too late. A Dream of Ebony and White eBook (ISBN: 978-0-6483051-8-7) is the fourth novel in the Beyond the Four Kingdoms series. It was published on the Amazon Kindle Store on October 18, 2018. A print edition (ISBN: 978-0-6483051-9-4) is available from Amazon and also from a wide range of online booksellers worldwide.